Project: Pawtucket Paper is a project that incorporates arts, craft, and plant science education for the Galego Court and greater Rhode Island community. 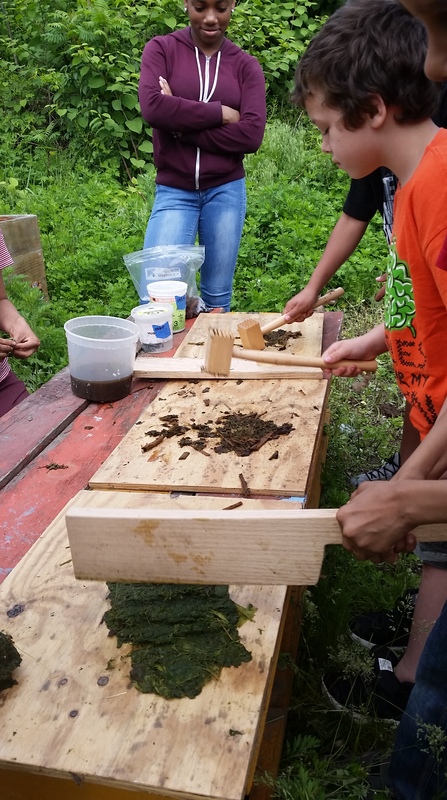 Through collaboration with the Southside Community Land Trust (SCLT) urban farm in Pawtucket, May Babcock will present a series of free public events and workshops on how to make handmade paper from plants. The workshops will teach participants about using invasive plant species and agricultural waste fiber to make handmade paper art during volunteer events, the annual fall festival, after school nutrition programs, and with local high schoolers. Artist Bio: May Babcock is an interdisciplinary artist based in Providence, Rhode Island. She graduated from the University of Connecticut in Storrs with a Bachelor of Fine Arts in painting and printmaking in 2008. Directly after, she joined the graduate printmaking program at the Louisiana State University in Baton Rouge, earning her Masters of Fine Arts degree in 2011. 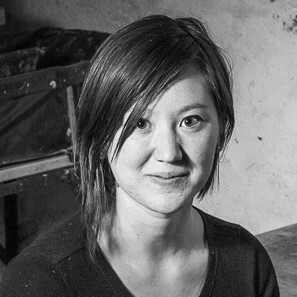 Her studio processes combine printmaking, hand papermaking, sculpture, and book-arts techniques, creating artwork that address contemporary landscapes. She gathers sketches and materials from each site to create innovative installations and works of paper. Babcock exhibits nationally and internationally, and has taught courses in all forms of printmaking, papermaking, drawing, and two-dimensional design. Additionally, she is the founder of Paperslurry.com, an active blog dedicated to promoting the art and craft of hand papermaking. She is an active member of the International Association of Hand Papermakers and Paper Artists (IAPMA) and the Friends of Dard Hunter Hand Papermaking. Project: The Narragansett Bay Symphony Community Orchestra (NaBSCO) will present two concerts in October and December 2017. Our conductor, Maestro Benjamin Vickers, will provide music direction throughout the fall season and beyond. Concert #1 will be performed at McVinney Auditorium, Providence, RI, and will include Mendelssohn’s Hebrides Overture, Strauss’ Horn Concerto No. 1 with Kevin Owen as soloist, and Beethoven’s Symphony No. 7. 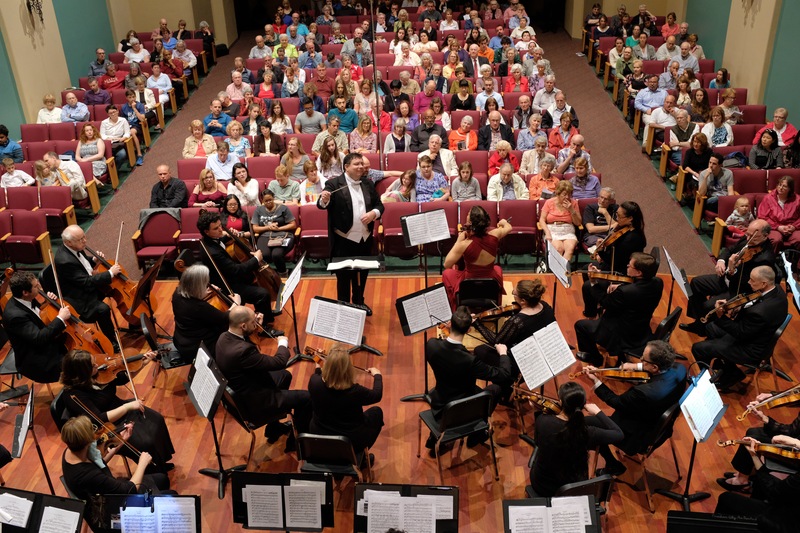 Concert #2 (a free concert) will be performed at St. Peter’s-by-the-Sea Episcopal Church in Narragansett, RI, and will include Respighi’s Ancient Airs and Dances, Bach’s Keyboard Concerto in D Minor with Cheryl Casola as soloist, and Mozart’s Symphony No. 40. About the Organization: Foremost in NaBSCO’s mission is to share our love of classical music with the community. By providing access to quality performances at little or no cost, we hope to promote music education for young and old, enriching the cultural life of our region. 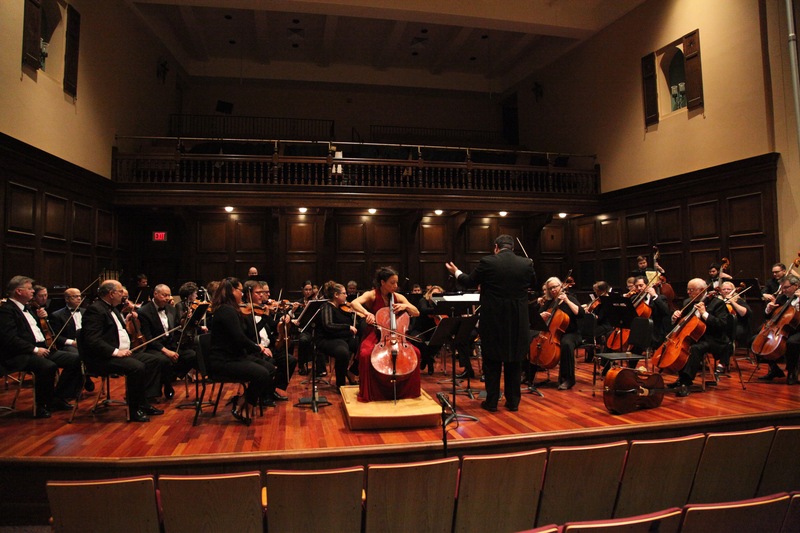 Participants in the orchestra come from all walks of life, ranging from musicians who earn their living playing or teaching music to others to whom music is functionally a way to perennially enrich their lives. NaBSCO is continually searching for new and effective ways to reach our communities, including educational programming with the highest level of musicianship. ← Meet Rhode Island College and Catherine Curtis!